The Multi Sluice ™ is a 3-in-1 system that converts to your needs, and unlike other equipment, won’t end up on the “shelf” as you grow. Originally designed as just a “stripping” unit for final cleaning, Doc decided to make a MULTI purpose unit. Guaranteed to run at a 99% capture rate on the first run down to 100 mesh gold. 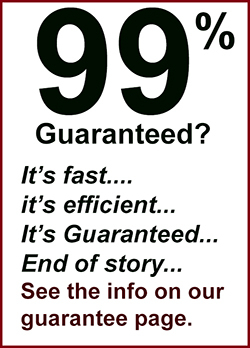 It’s FAST… EFFICIENT…. and takes a process that used to be hours and hours down to minutes. Place the CON mat in your sluice. Classify your concentrates to 1/4″ and run through the system. This first step allows you to inspect for larger gold which EVERYONE WILL FIND at some point. This step will reduce cons to roughly one cup of super cons. No more “wondering” if you’re throwing out a stray nugget by classifying too small. Example: 2 gallons of cons can be run in roughly 7 minutes and reduced down to 1 cup. This one cup will now contain roughly 95 – 98% + of your gold. Place the stripping mat (Washer Mat) in your sluice. Insert water restriction tube. Classify material to 12 – 20 mesh and run. Again about 2 gallons of cons can be run in 7-10 minutes. These 2 gallons will be reduced to about 3 tablespoons, making it SIMPLE to clean in a pan. The rest of your gold will be in this run. By the end of these 2 runs you will have 99% of your gold contained within roughly one cup. Now take the one cup of cons from the first run above. Pan out big gold and classify to 12 – 20 mesh. Run through the washer mat again. Now you’ll take the one cup down to about 2 tablespoons. The first few mats will be almost pure, clean gold. BONUS… Run as a field unit. Want a VERY lightweight, portable unit to run in the field? While it was not designed as a field unit, the Multi Sluice™ can be used as primary unit for those needing a small portable unit. Whether you’re dealing with state / fed restrictions, limited water access / supply, or just want a small unit, take the Multi Sluice ™ into the field. Classify material to 1/4″ and run with the con mat. Want to test an area, but need to be mobile? The Multi Sluice packs up in bucket and is VERY mobile / portable. Test and move… test and move… do fast sampling runs to determine the best areas to run without lugging around large equipment. The Fun 1.5 ounce clean up video. 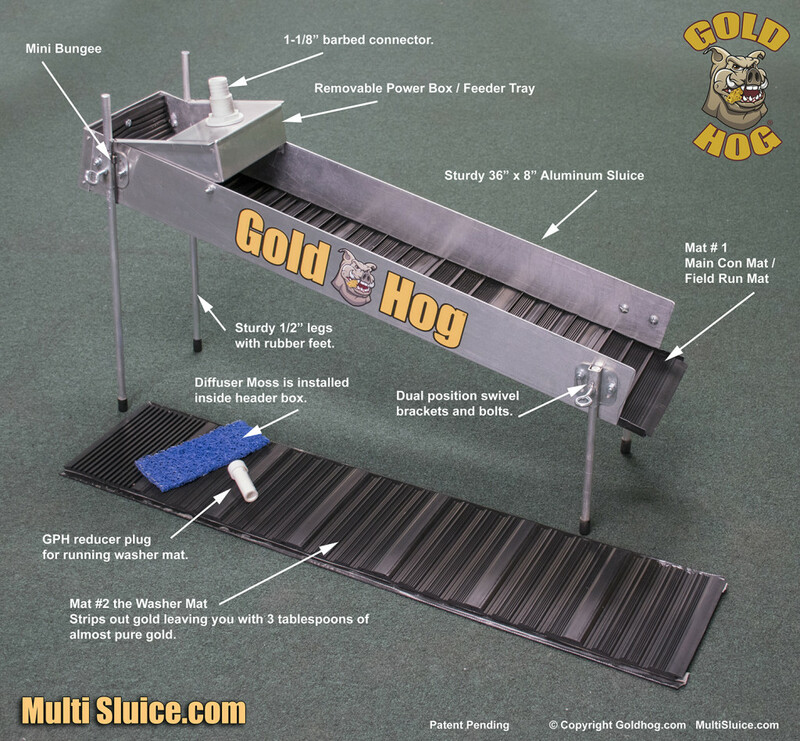 The Multi Sluice™ is a two step concentrate cleaning system that makes easy work of removing gold from your concentrates. What used to take hours and hours... now only takes minutes. After all, gold mining is just about efficiently concentrating material down to its smallest amount, retaining the gold. The Multi Sluice™ system has it mastered. Once operators learn the process they can reduce their cons to just TABLESPOONS. Imagine that... TABLESPOONS. It really is amazing once you've seen it work.